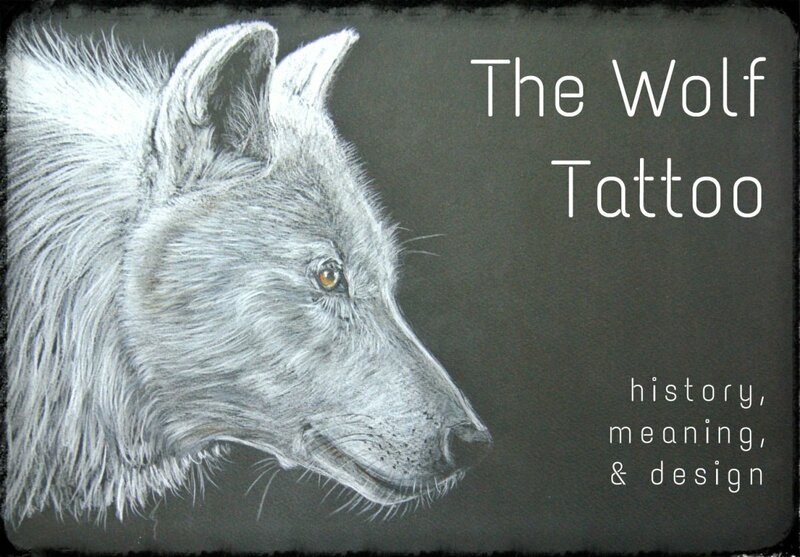 When you consider who is getting tattoed in the United States, it may surprise you to learn that men and women are only a couple of percentage points apart in terms of who gets inked the most. 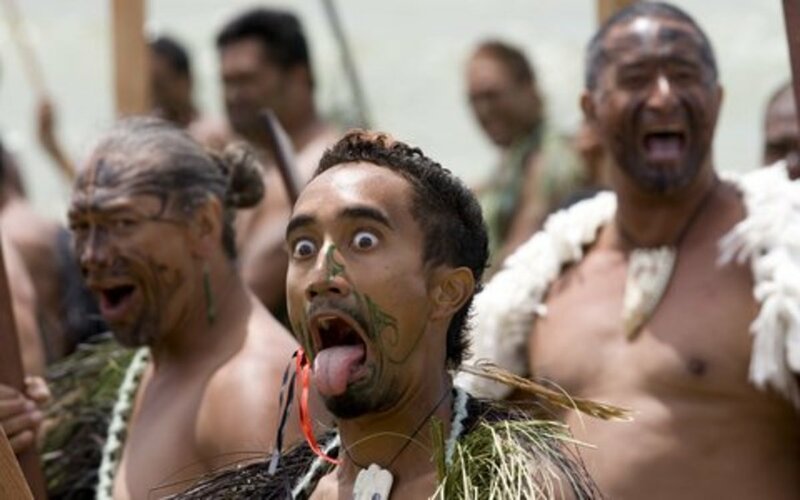 The rate for men (of any age) is 15 percent, whereas the rate for women (of any age) is 13 percent. 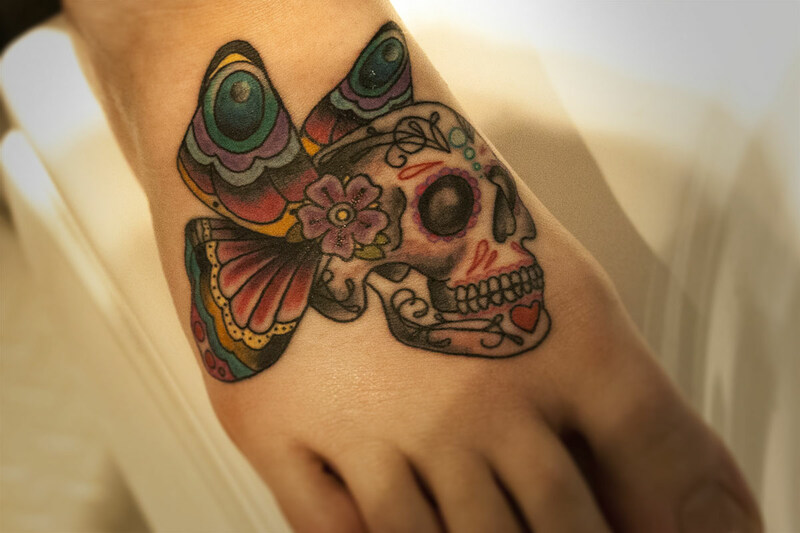 With so many women participating in the tattooing craze, many have taken the butterfly as a favorite symbol. 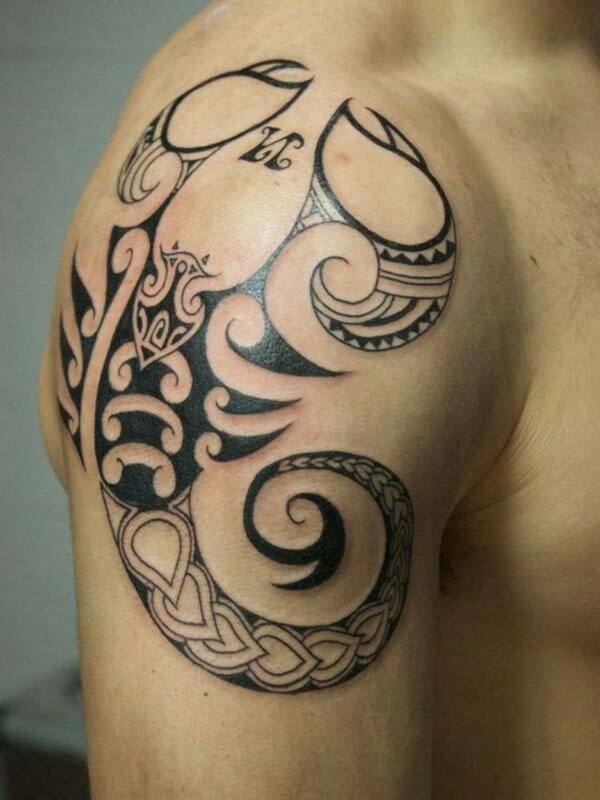 The butterfly is among the leading tattoo designs requested. Don't be fooled into thinking they all look the same, though. These butterflies come in an extraordinary variety of designs, colors, and sizes. 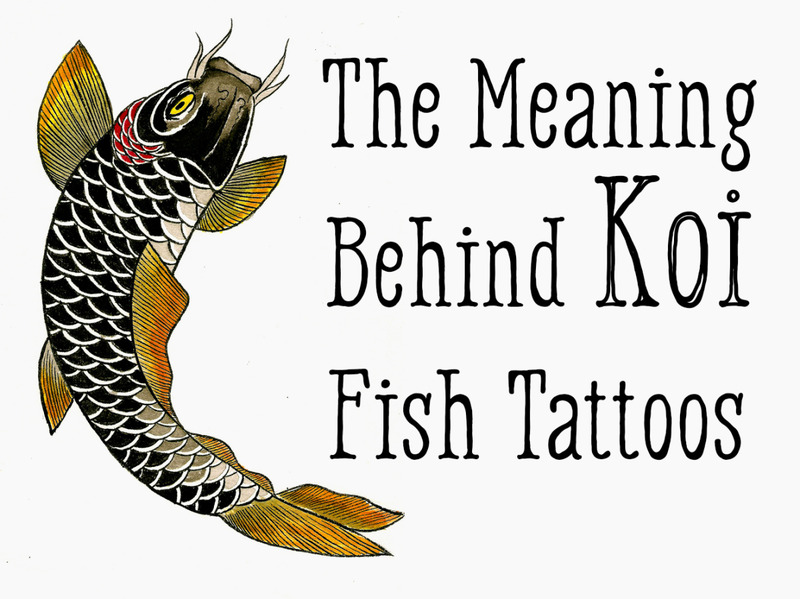 Not only that, these tattoos are being placed in a wide range of places on their bodies—almost anywhere. If you're wondering if a butterfly tattoo is for you, try some temporary ones first. I really do recommend trying out a temporary tattoo if you've never had one before. 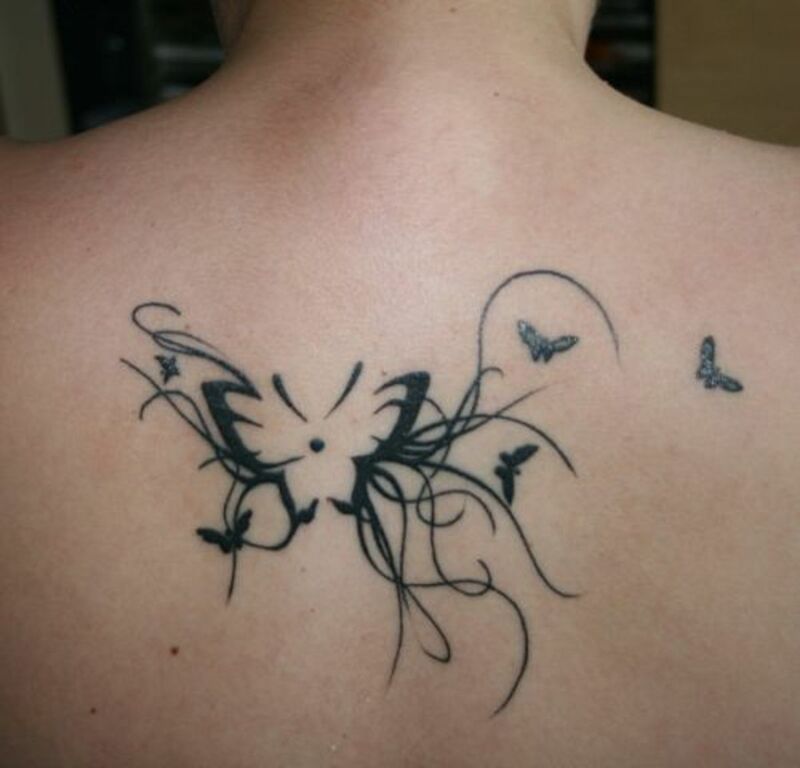 Place a butterfly where you want it on your body and get a feel for whether you would want it to be permanent or not. Included below are some fun temporary butterfly tattoos for you to try if you want to go that way first. You really should try something like that first to avoid any regrets later. Some of the more popular butterfly designs are large butterflies put on the back, tribal butterflies, Celtic butterflies (some guys like these, too), small butterflies, and maybe the favorite for those covering a larger portion of their body: the scrolling butterfly scene, which is really quite nice looking, especially on longer parts of the body like legs, arms, and sides of the torso. 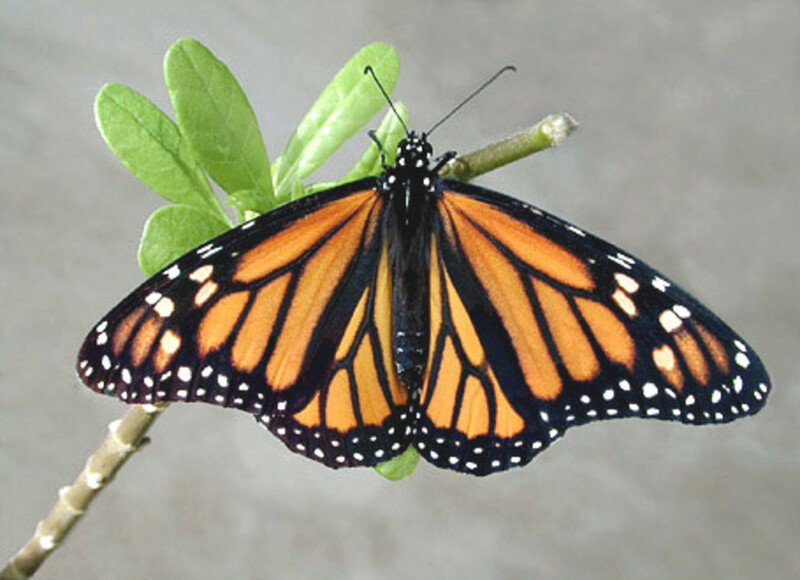 Smaller butterfly tattoos are placed on neck, ankles, wrists, hands, and feet. 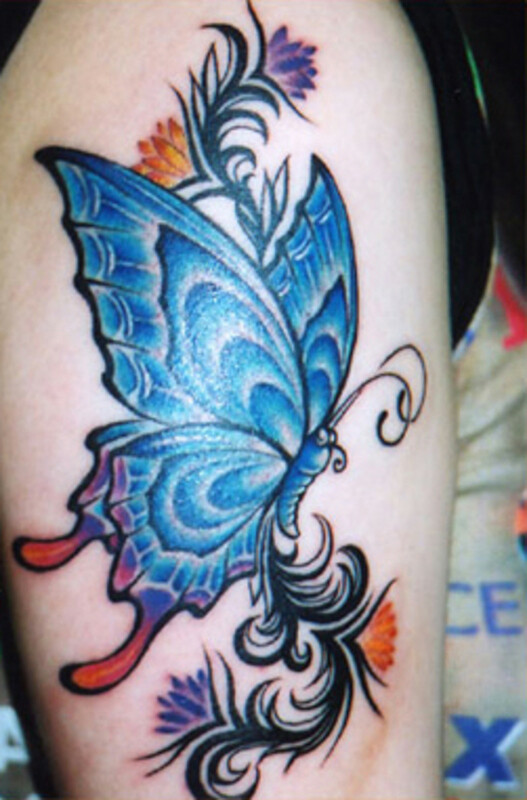 The more mid-size butterfly tattoos are placed on the shoulder and upper arm. 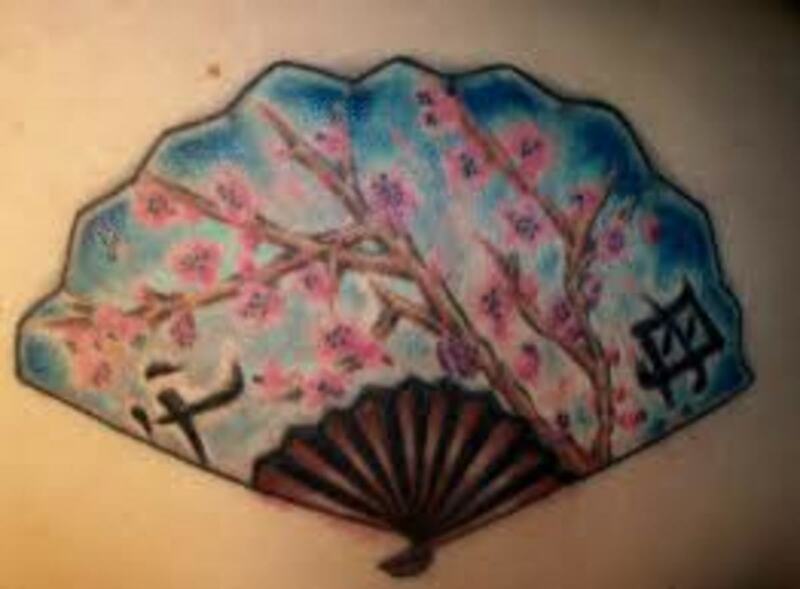 While some woman still put larger tattoos on their lower backs, when the term "tramp stamp" referred to any type of lower back tattoo, women not only stopped putting their tattoos there, but also, in many cases, began removing them. What I find interesting with butterfly tattoos is that the way they look on the body seems to be in opposition to the way they look in nature. What I mean is that real-life butterflies that are more black and grey, or black and grey with only a little color, seem to look much better on the body than those real-life butterflies that are vibrantly full color. Of course, beauty is in the eye of the beholder, but at least that's my take on it. 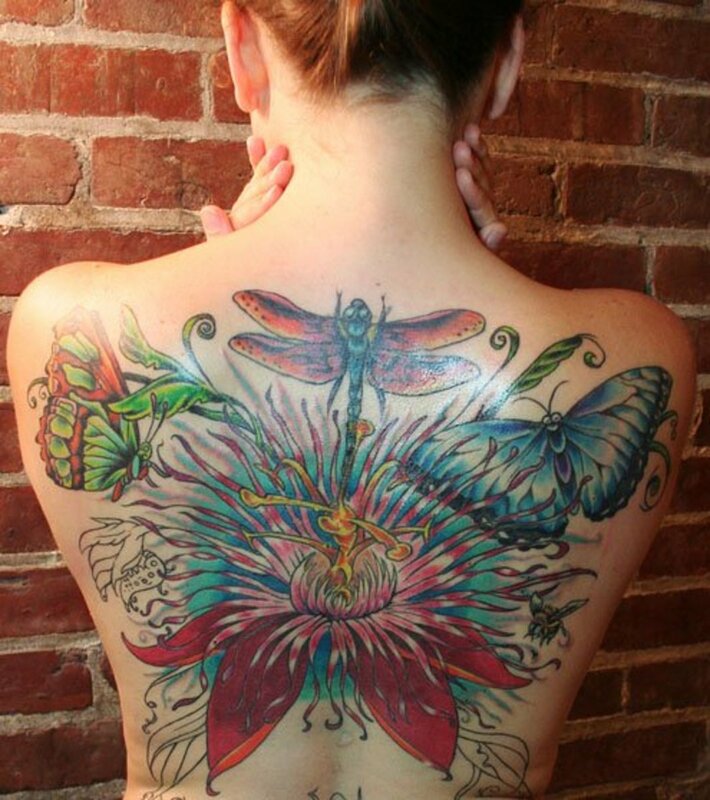 What's so fun about butterfies and butterfly tattoos is the extraordinary variety available to choose from. If you want inspiration, just get a book or go online and look up butterflies themselves and see the amazing variety and color these beautiful creatures portray. I know some people will take a printed photo of a butterfly and bring it to their tattoo artist to work out a design resembling it. 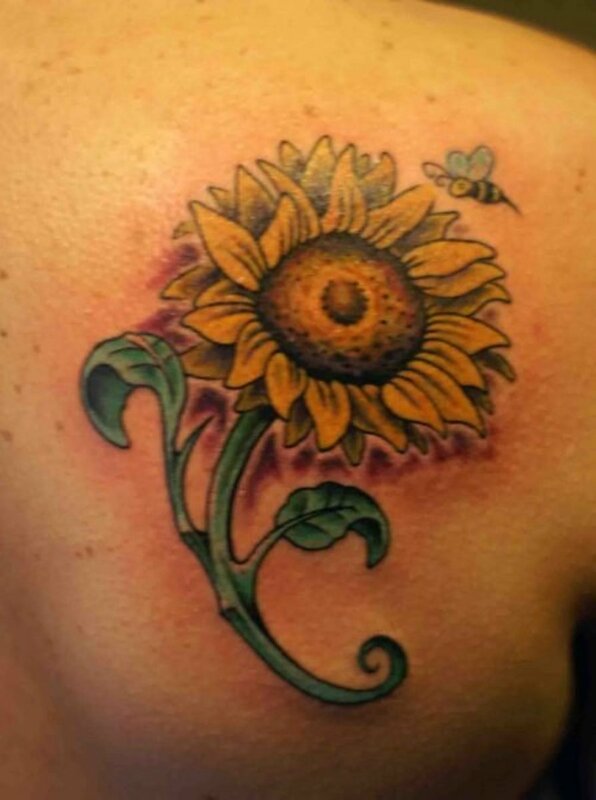 A couple of my personal favorites with butterfly tattoos is one that is also growing in popularity in and of itself: the dragonfly, making the image of the two together all the more fascinating and interesting. But the absolute favorite for me is when you have the scrolling, vine-like look going up the length of a leg, arm or side. Include the butterfly and the dragonfly, and that's as good as it gets concerning tattoos for me. 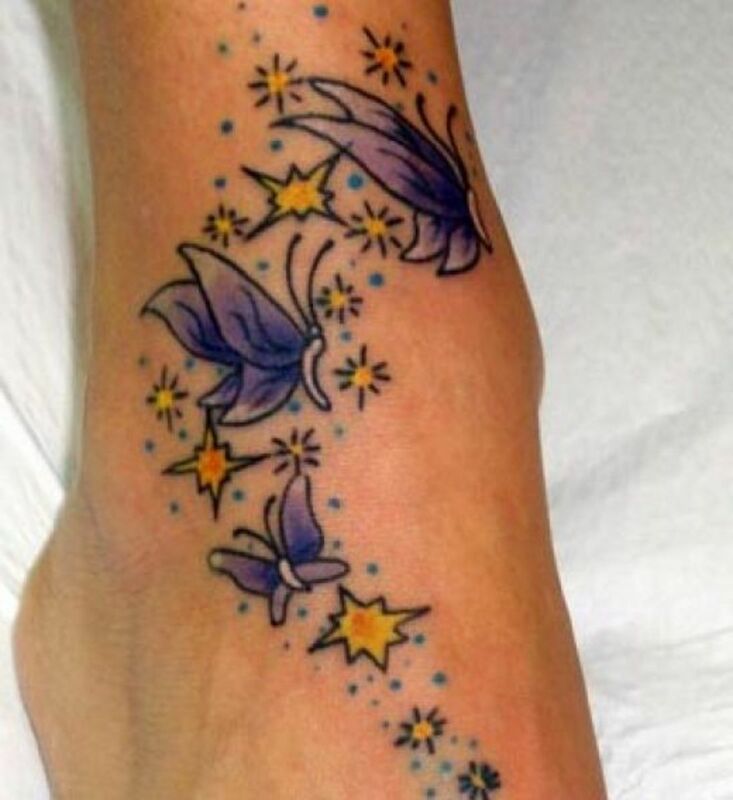 It seems the reason why butterfly tattoos are so popular among women is they look good in many places where they're placed, and so unless they're really done badly, or have some added dark sort of connotation, most work well in situations where they'll be seen socially and in most instances - professionally. 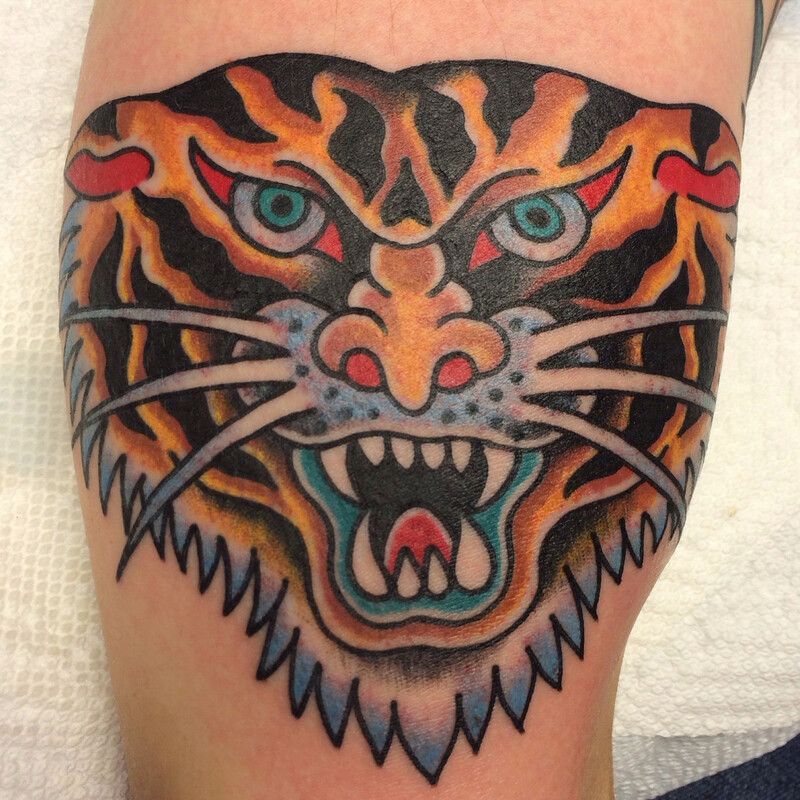 Obviously it depends on the profession, but they're less risky than some tattoos that could keep you from getting hired. But taking into account the profession you're in, if it's outside the home, is a must when having permanent ink placed in and on your body in a place it is difficult to cover up with clothing or hair. Another major reason for their popularity is the beauty of the butterfly in its form, and I also think its fragility; which life teaches us is part of our experience. Butterflies have beauty like women do, but life is also fragile, and nothing is guaranteed but the moment we live in. Butterflies are an excellent depiction of that reality. Probably my favorite thing about a butterfly is how it represents transforming from one thing to another, and as we live our lives they take on these sometimes scary but challenging changes that transform us all into who we are. In the end, there are a large number of reasons women choose butterfly tattoos, and it's the butterfly itself in all its variety and beauty that inspires us. From the flittering and fluttering as it flies to its harmless landing on a flower or finger to its lines, beauty and the realization that we can be changed from who we were into someone different is all represented in the butterfly. This is why they work so well with other living things and elements, as life happens no matter what we're doing, and we are always changing. But we are also showing appreciation for the beautiful things of life, and butterflies represent that very well. 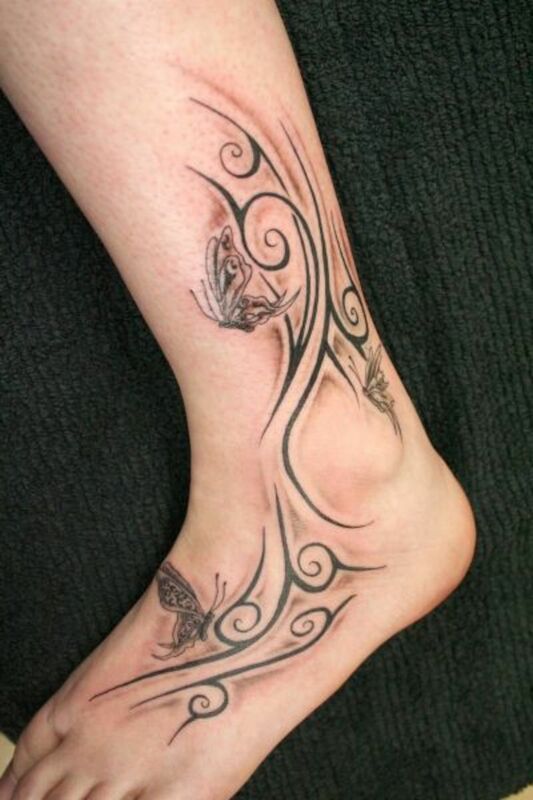 With all this going for it, no wonder butterflies are becoming one of the more popular tattoos designs to choos from. That butterfly-dragonfly tattoo is amazing! Where did you find the photo? Who did that tattoo?